Curtis Soine is from Granite Falls, MN. He started carving waterfowl decoys in 1983 at his wife’s request. In 1994 Curtis started fish decoys and through his attendance of The Gathering in Perham in 2006 he said he was hooked on the FISH. Many carvers at the show gave him pointers and all were willing to help a beginner. Curtis continues to be at The Gathering each year since his first trip in 2006. Ron Jacobson and John Muzik told Curtis about The Gathering in Perham, MN and he received a lot of help from Rod Osvold and Larry Lang. So many others help contributed to helping along the way, but way too many to list. 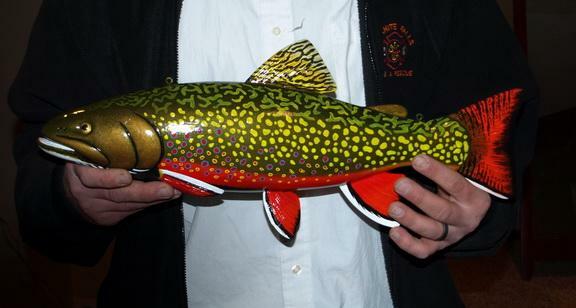 Just to say those carvers at The Gathering helped Curtis create his style and quality of fish decoy. 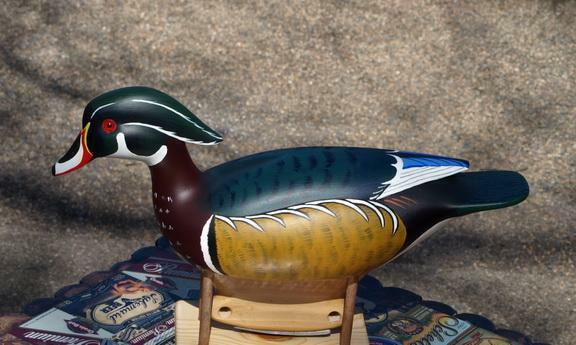 Curtis’s decoys are hand carved out of white pine and are hand painted with acrylics. 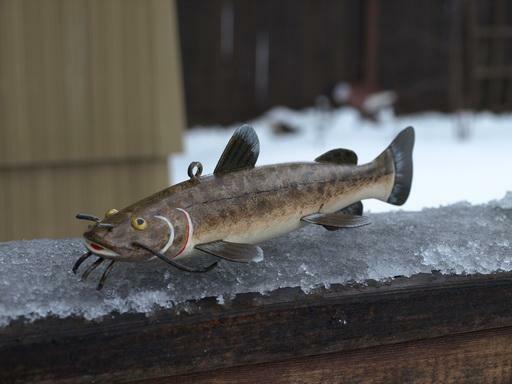 The fins and tail are aluminum with eyes of glass or tacks and the fish usually has a single line tie. Curtis wrote and said that he likes to model his decoys after the older decoys as he values them for their beauty and history. He also considers his decoys to be working decoys. 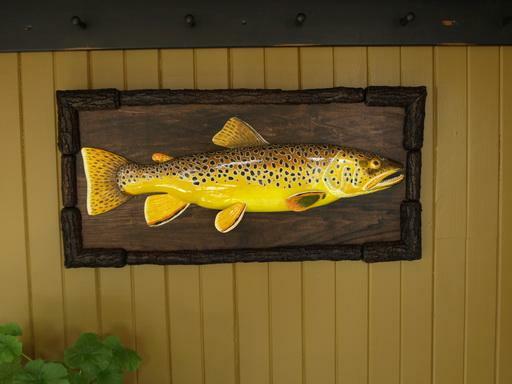 They have bright colors and are perhaps more folk art than realistic. Some being smooth, some having the carving marks and left unsanded. There are no burned scales or carved fins. Curtis is a member of the National Fish Decoy Association, Minnesota Darkhouse and Angling Association, Delta Waterfowl, Ducks Unlimited, National Wild Turkey Federation, Minnesota Waterfowl Association, Pheasants Forever, Minnesota Decoy and Wild Fowl Carving Club and Minnesota Decoy Collectors Association. 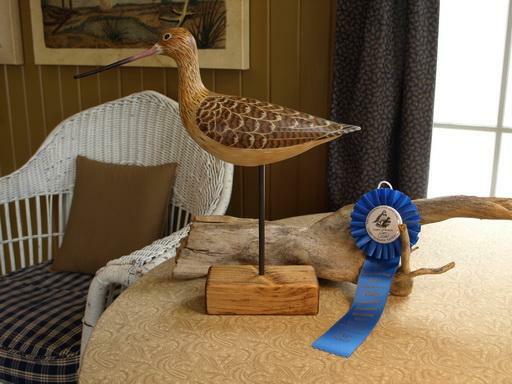 Curt has achieve some high reviews from his peers as he received three (3) Best of Show in the Casey Edwards Gunning Bird contest at The Gathering in Perham. He also received numerous ribbons there as well. At Great Lakes Fish Decoy Collectors and Carvers Association he also was rewarded by his peers with even more ribbons for his carvings. He has an Honorable Mention at the Chesapeake Challenge in Salisbury, MD and is included in Doug Lodemeier’s book “Minnesota Duck Decoys: Yesterday’s and Today’s Folk Artist” He also appeared in the “hooked on Wood: The Allure of the Fish Decoy” book and in their exhibit at The Center for Art in Wood in Philadelphia. Curtis goes on being a showcased artist in several local galleries in recent years. Another highlight in Curtis’s carving endeavor is that he has been one of the featured artists in The Meander, the upper Minnesota River Valley Art Crawl, held the first weekend in October.